Currys PC World is expecting to break sales records in this year's Boxing Day sales, as consumers hunt for bargains from Christmas Eve onwards. The electrical goods retailer forecasts that 4.9m people will shop at Currys PC World online alone between noon today (24 December) and Boxing Day. The retailer smashed online records during its Black Friday sales, reporting 7m visitors in a week and a 1100% increase in unique hourly visitors. 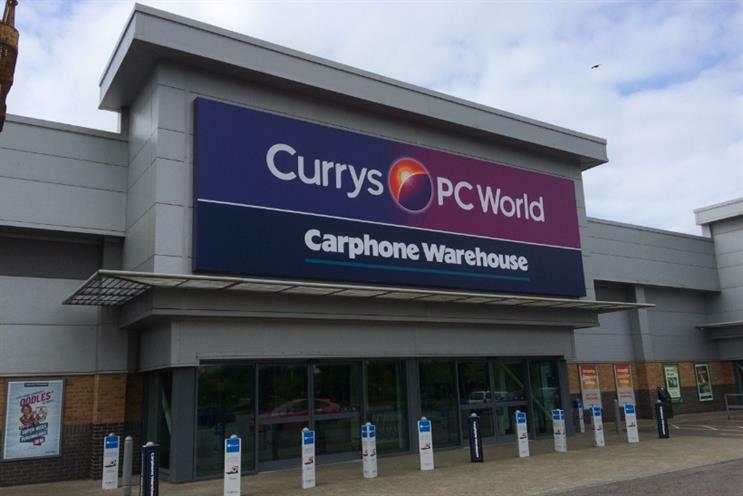 Currys PC World is expecting to see a spike in online visits from phones, as customers become increasingly comfortable shopping on mobile. Last year, the retailer saw peak online visits on Christmas Day between 8pm and 9pm. On Boxing Day, in-store sales peaked at midday, at 266,000 sales in one hour. Gary Booker, chief marketing officer of Dixons Carphone, who oversees the marketing for Currys PC World, said: "Black Friday was the starting point of our peak season this year and with 100 large screen TVs selling per minute, shoppers certainly took advantage of the great deals we had on offer. "We know though that a lot of our customers will be waiting for the Boxing Day sale to shop for things they need for themselves, rather than just for gifts. And if Black Friday is anything to go by, we’re expecting many of our customers to snap up a bargain online, but we’ll also have plenty in-store for those shoppers who get out and about after Christmas Day." Boxing Day sales have increasingly moved earlier, and online, in recent years. Major retailers like Amazon and John Lewis will be kicking off Boxing Day sales from Christmas Eve. Some analysts believe this encourages detrimental behaviour in consumers, teaching them only ever to shop in sales mode. But Andy Street, managing director of John Lewis, noted that retailers who had managed to fuse online and offline commerce seamlessly would win out. He told the BBC: "Consumers are feeling a little better than last year. The stats are clear they have definitely got a little more money than last year, but it is proving hard for retailers to continue to take the same share of that spending. "We are going to see a huge range of performances, and as online takes an ever greater share, those retailers who've worked out how the bricks and clicks come together will be the winners this Christmas."